[Interview] Eom Tae-hwa: I wanted to ask, "Is it really true what we know as common sense?" 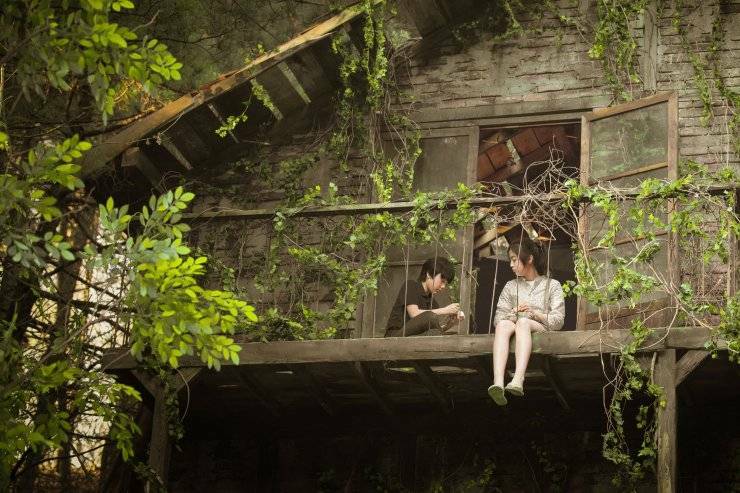 On the occasion of the screening of his film at New York Asian Film Festival, we speak with the director of "Vanishing Time: A Boy Who Returned" about the ideas in the film, the Korean movie industry and the melodrama that seems to feature in every movie, the casting, and many other topics in a very interesting interview. Can you tell us about the path and reasons that led you to become a filmmaker? You were involved in "Sympathy for Lady Vengeance" and also acted in "Tinker Ticker". Can you tell us a bit about those experiences? Originally, I studied design, but I had a chance to work with a film art team. I was already attracted to the medium of film, and at that moment, I became a filmmaker. My first work was as Park Chan-wook's assistant. It was very fortunate for me to work as his assistant, as I learned a lot from his knowhow. Even today, if I face any difficulties when I am shooting my movies, I think "What would Park Chan-wook do? " "Tinker Ticker" is the work of director Kim Jung-hoon, who was a colleague at the Korean Academy of Film Arts. The school has a policy of the students helping each other when one is shooting a movie. I made an appearance as an extra in his movie. How come you decided to shoot a Sci-fi film? They are not so common in S. Korea. What inspired you to write the story and in general, where do you draw inspiration from? I wanted to shoot a sci-fi film because it is not common in Korea. I am attracted to "areas" where others have not reached yet. 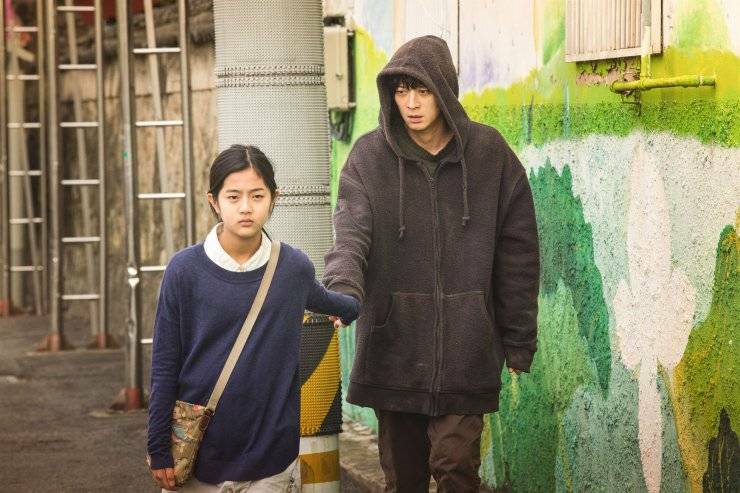 The main inspiration for the film came from the "Sinking of MV Sewol" accident, where many children died. At that time, I was only hoping that the children would come back. Maybe not only me, but also everyone who was watching the scenes where the boat was sinking hoped for the same. However, the majority of people did not come back. I was angry with the incompetent government and the false media. In the world of this distrust, as a reaction to "what to believe and how to live", I wanted to ask a question about "what is a real trust?" The story in "Vanishing Time: A Boy Who Returned" has a very interesting concept, of "what would happen if fantasy was actually becoming part of reality?" Can you tell us a bit about this idea? The story follows a girl's feelings about her friends who have not returned. A girl who has a desperate hope that her friends want her back. She tells adults some things that they do not understand through common sense. Of course, nobody believes her. They decide that what she is saying is a delusion of a wounded girl. But to the girl, it was all true. So, I wanted to ask, "Is it really true what we know as common sense?" In this way, I wanted to deal with the concept of illusion affecting reality. I felt that the story shares some parallels with Christianity. Was that your purpose? As I said before, religion itself is a fantasy, but it is true and real to some people. Love in the film is presented as a feeling that can transcend time and reality, even against all odds, and as a reason for ultimate sacrifices. Is that your opinion of love? The scenes where time has stopped are some of the most impressive in the film, particularly the ones with the dead boy. Can you tell us about how you shot them? In order to express the state of time-out, we actually stopped everything. I had everyone who appeared in the scene standing still and then took a picture. Later, I modified things that move with CG. For example, hair blowing in the wind, leaves, blinking eyes, and so on. The CG work seemed to be like 'finding hidden pictures'. On a windy day, it took a long time to wait for the wind to weaken. Particularly when performing demanded from the actors to express emotion, the acting became hard, because of the wind. People and objects floating in the air were photographed separately and then subjected to CG synthesis. I am really sorry for that question, but I have to ask. Why does almost every movie in Korean cinema has to include some melodrama in it? Korea is an unusual country that has achieved high level of development in a very short time. In the process, personal life was ruined. There is a satirical term called 'Hell Joseon' (Old name of Korea). In this kind of life, the feeling of love is regarded as luxury. Therefore, I think that Koreans are looking for a substitute in dramas and films, and melodrama provides just that. Shin Eun-soo was cast after being selected through auditions that involved about 300 applicants. What made you choose her? Was it difficult guiding such a young actress in the role? In general, how was the casting process like for the rest of the actors? To begin with, the protagonist had to be a face to hold the audience for two hours. Most of all, Shin Eun-soo's face was telling the story of a lonely girl even when she was quiet. The child actor casting process is not much different from other actors. In Korea, talented children are more interested in becoming singers than actors. Unfortunately, I did not find an actor to take on this role. Shin Eun-soo was preparing to make her debut at the JYP agency. She had never acted, but her talent was proven. We had two months of acting training, and during that time, Shin Eun Soo was perfect with Soo-rin, the protagonist of the film. Gang Do-won has been climbing the stairs to stardom quite rapidly in the last few years. Can you tell us a bit about your collaboration with him? It would not have been easy for Gang Do-won, a superstar in Korea, to decide to appear in this movie, because there are many movies in the country with male protagonist roles, and in this case, he was not the protagonist. An elementary school girl was the main character. In many ways, the film was not meant to be a commercial success in Korea. Therefore, it would have been a big challenge for him to believe in the originality of the scenario and decide to appear in the film. 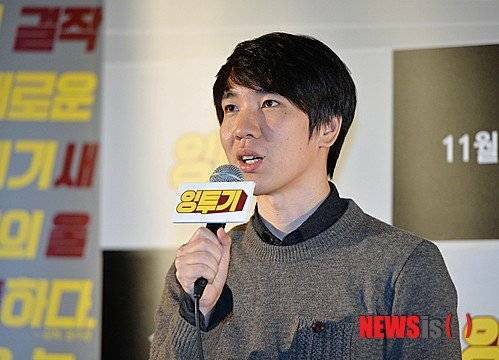 However, his decision reflects his opinion that movies like "Vanishing Time: A Boy Who Returned" should also be shot, for the future development of the Korean film industry. Gang Dong-won is a very talented and challenging professional. I think that filmmakers should have a challenging spirit in order to create an environment where more new movies can come out. I think making a movie is like writing a diary. In this diary, my unconscious is expressed in a frank and unadorned way. I want to continue to write this diary, and I want to communicate with people with this. "[Interview] Eom Tae-hwa: I wanted to ask, "Is it really true what we know as common sense?"" Upcoming Korean drama "Mystery Queen Season 2"
Upcoming Korean Web-drama "A Day for Romance"